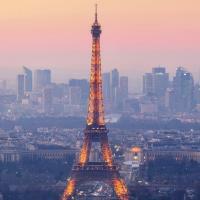 Lose yourself (hopefully not literally) in the 18th arrondissement, one of the most diverse and bohemian areas of Paris. 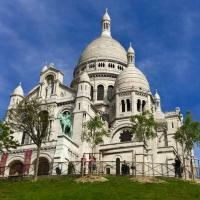 Wander through the historic cobbled streets of Montmartre and explore its winding passages packed full of charm, then get to know the 18th like a real Parisian as you ditch the crowds and head north into Clignancourt. As well as exploring arty Montmartre, one of the most classically Parisian neighbourhoods, explore the road less travelled and get s glimpse of local life in the city’s most multi-cultural neighbourhood, seeing an alternative side to the French capital as you wander through flea markets and through the maze of streets. In these charming and multicultural neighbourhoods, you'll discover both Montmartre’s classic postcard aesthetic and the more off the beaten path, artistic neighbourhood of Clignancourt where most tourists don’t venture. Follow your Local Host as they lead you through the labyrinth of streets to experience life in Paris like a local. From cheap to gourmet food, from high-end boutiques to unpretentious shops and marché aux puces, sophisticated pastries shops to tiny cafes and everyday roadside markets, the 18th has it all! Wonderful tour of Montmartre in Paris! 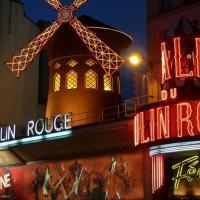 Zoltan made our visit to the Montmartre district in Paris so much fun! It was very relaxed and spontaneous, with a variety of experiences - tasting good food & drink, seeing beautiful & interesting sites, finding secret photo locations, and recommendations for activities after we parted. We felt spoiled having Zoltan all to ourselves. I highly recommend City Unscripted tours! Our family enjoyed the history and walk through the Montmartre Area. Our guide kept us entertained and moving along at a pleasant pace. We saw all the little tidbits the area had to offer and our guide answered all our questions. 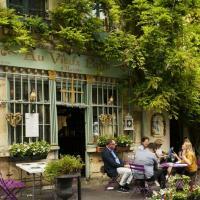 See Paris through the eyes of a local host. My mom, my sister and I saw Paris with Marie as our tour guide. We have no regrets whatsoever. We had a wonderful time with Marie. She was friendly, easy-going, sociable and so accommodating. She communicated with us about what we wanted to do. She gave us recommendations. And she planned out our itinerary. We walked the cobblestones of Monmarte and ate authentic French cuisine like a true local. She enlightened us with French history as we toured each monument. It was a day well spent. Marie is a very knowledgeable and fun tour guide. We highly recommend her.